etc. steakhouse offers an intimate and elegant dining experience with uniquely magnificent food and exceptional personal service making the dining experience just that, an experience. The Executive Chef, Seth Warshaw"s philosophy: "If we can't do it great, then it's not worth doing. Our goal is to serve great food and provide great service. We want to be the best and we strive to do just that." etc. steakhouse is under the supervision of the RCBC, and we are glatt kosher! Please note that we are a BYOB establishment. All wine brought in must be kosher mevushal and in a sealed bottle. Etc. Steakhouse offers private dining options! Whether you are looking to host a private cooking class, pharmaceutical meeting or planning the perfect sheva brachot we can fulfill your needs! Our private dining room can accommodate up to 40 diners and we offer a 3 course set menu option. Please contact Michelle for private party details. There are plenty of options for parking when dining at etc. steakhouse! We offer street parking, side angle parking around the corner or take advantage of the parking lot right behind our establishment. Excellent service. Food was great. The dishes were served with flair. Tastes were wonderful. Buffalo cauliflower was outstanding. The steaks were perfect. Great food presented nicely. I highly recommend etc Steakhouse. I nicely paced service and our server provided excellent recommendations. We enjoyed the five course tasting menu. Each course was served promptly with a good explanation and tasted great. Chef Seth Warshaw came out to chat with the guests and wish my husband happy birthday. We love etc. thank you. Superb in every way. Food was delicious, service was quick and efficient, ambience was great. We will definitely be coming back again. Highly recommended. 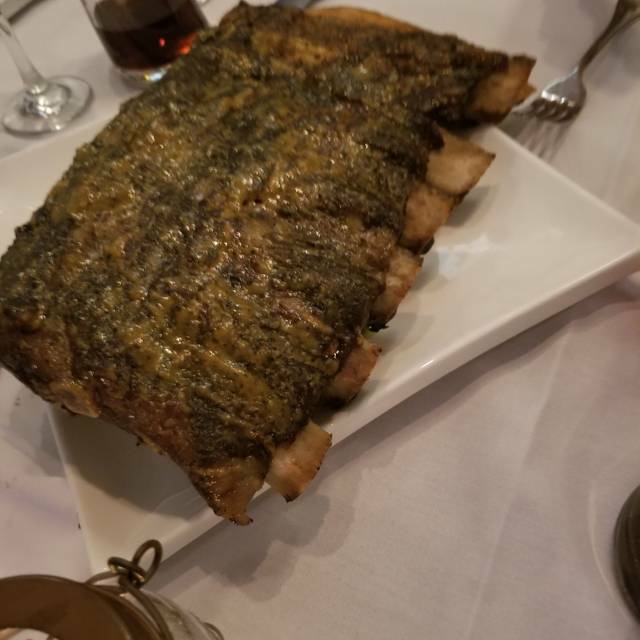 The Best Kosher steakhouse !!!!!!!!!!!!!!!!!!!!!!!!!!!!!!!!!!!!!! We did the tasting menu it was amazing the different flavors and all in all it was great . The privacy was really good the service was really good the food was amazing! And that the chef came out to make sure we are happy was just amazing! Excellent meal. Very good service. Would recommend to friends and others. Great food as always, Nothing compares. Do they have a lunch option? Etc was the setting for a second date with a special lady and neither disappointed. Chef Seth’s lamb appetizer special was delicious and the two steaks for our main course burst with flavor. It made for a romantic and culinary delight night. The food was delicious and interesting mix of flavors. I wish they would have more salads and gluten free options. As always, the service and food were excellent. The food came out very quickly and the servers checked in numerous times, asking if everything was okay or if we wanted anything. We went here for my wife’s birthday, and we were both very pleased with our overall experience. Food was amazing and the service and atmosphere was good. Definitely recommend. Always a phenomenal culinary experience. The 7 course tasting menu was exquisite. Every dish had unique and distinct flavor and presentation. Highly recommend the tasting menus. An overall excellent dining experience. From the usual gnocchi favorite to the duck breast and bacon bits, to the moist chicken breast and the evening special of the 34 oz steak cooked to perfection. Finished with the doughnuts and the cream puffs. Superb service by Vanessa. Thanks Seth. The experience was a very nice one, the food was scrumptious and done exactly the way I like it, a special thank to the chef for that! and the service was great. I would definitely recommend this place for a nice, quiet, special outing. Our reservation was early and the restaurant was quite empty. A very pleasurable experience, super quiet, and very attentive waitstaff. Ironically, for a place that calls itself steakhouse the steak was the item I wouldn't recommend. The other food on the menu was exceptional. We ordered a variety of appetizers. They were original, fresh, and most importantly delicious. 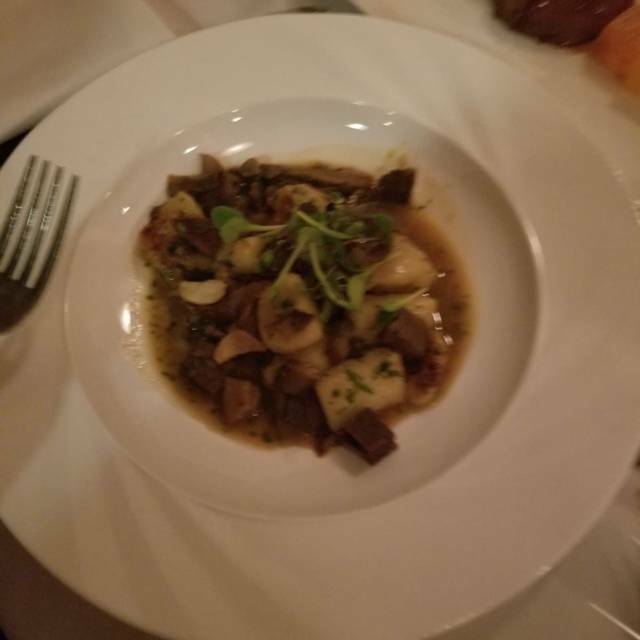 We had the gnocchi, pulled veal, tongue and rolled rib eye. As previously mentioned the rib eye was no good but the other dishes more than made up for it. The must-try entree is definitely the cocoa short ribs. YUMMY! This is absolutely a place I would visit again! We had a business meeting with no liquor or wine and the staff’s attentive water service made it just perfect on beverage. Everyone of our party of nine had the range of the menu on entree’s. We had no appetizers, two of us had salads that were big enough to share with everyone. The French fries were exceptional. 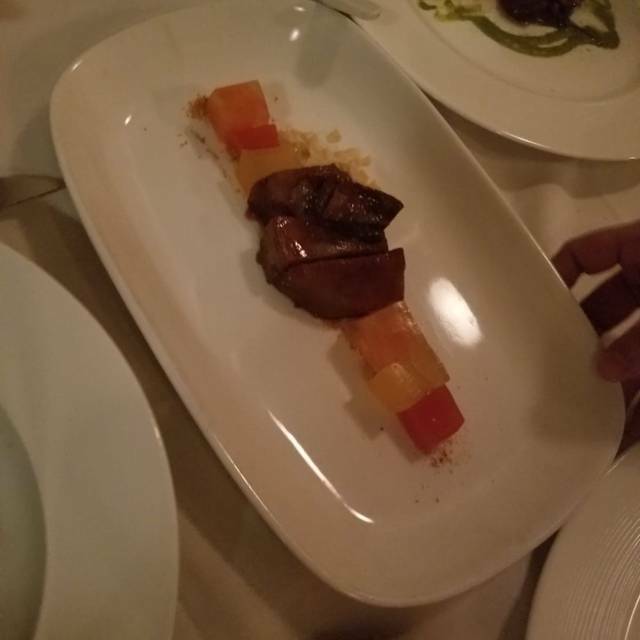 The food and service was excellent ,the ambiance was releaxed and comfortable. Best food ever!! Everything was Delicious from the appetizer to the dessert. The service was excellent. The food was outstanding. It was a really nice evening. The chef took his time and came out and spoke with us just to make sure everything we ordered was done to the way we liked. We appreciated the personal service. Finally we heard music drifting in from an adjoining room and we actually thought it was someone playing the piano it was that good. This is a terrific restaurant. The food and service are superb, and while it's expensive, it's worth it. We recommend it highly. Very enjoyable, especially for a kosher restaurant, no kids running around extremely attentive service. It was extremely noisy. 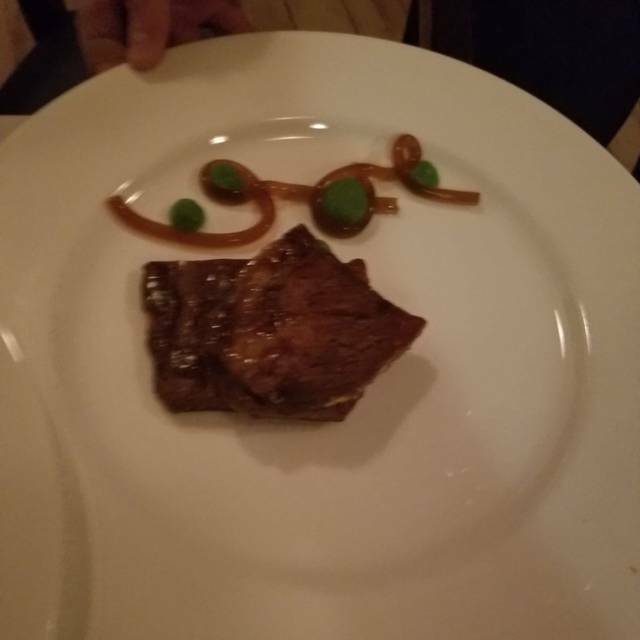 My sister-in-law ordered a medium-well shirt steak and was served a medium-rare hanger steak. My steak had more veins I couldn't cut through with a steak knife. I have had better meals there but not this time. we would have sent her steak back but to wait another hour would have been too much. The seven-course tasting menu is not to be missed. We will be going back for sure! My Mechutan ( In-law) and I try to get together on a regular basis, to share dinner. Often our meals out are less elaborate, but our children highly recommended ETC., and so we decided to try it. It was simple to make the online reservation, and free local parking was easily available. On arrival , we were immediately greeted by a staff member, and given a lovely table with a window view. We were provided with your Tablet computerized menus, but the wait staff were right there for excellent advice to assist our ordering. 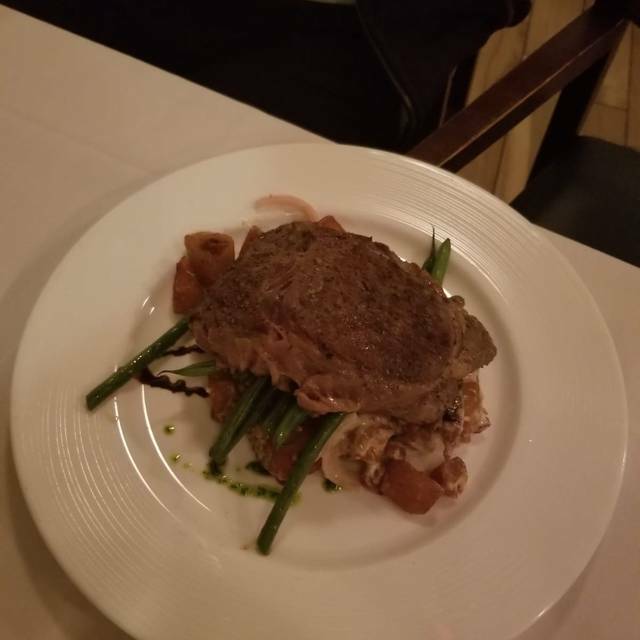 We were able to order entrees and main courses quickly, and almost immediately brought a small sample of a new recipe the chef was trying out. Our orders were brought out promptly and our steaks were cooked perfectly to our preference. We were then able to share a dessert, and even continue using the table for conversation, without interference. Our meal was delicious, and we were not rushed by the staff, who were unfailingly polite, friendly, but still unobtrusive. I always hope when I eat out, to find excellent food, that I would not be able to duplicate myself in my own kitchen. The meal at ETC certainly met those criteria, and i look forward to my next meal there. Our favorite place. My compliments to the chef, every time. One minor quibble: service was excellent, and eager, but our water was never refilled. Seth Warshaw is a culinary genius. This was one of the finest dining experiences we have ever had. 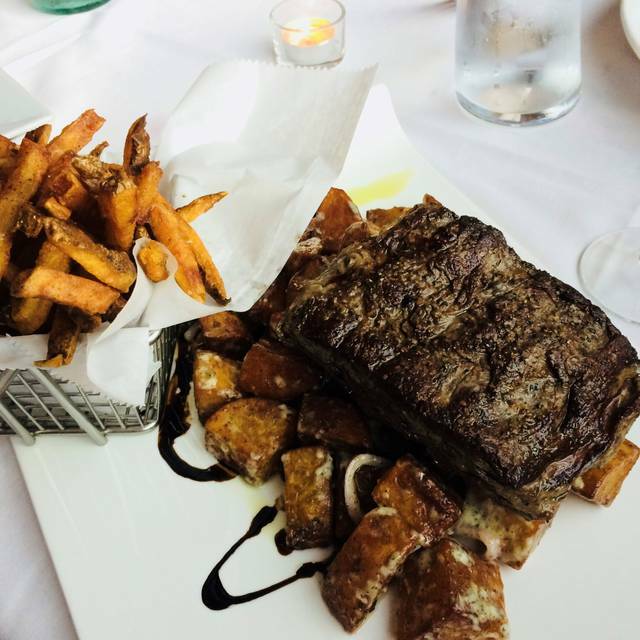 From the complimentary taste of a pre-appetizer, to the flavorful appetizers (gnocchi with beef cheek and buffalo cauliflower that was scrumptious), to perfectly prepared steaks with perfectly complementary sides. My only regret is that we were too stuffed for dessert. As an aside, the beer bread is incredible. The food was outstanding, as always! 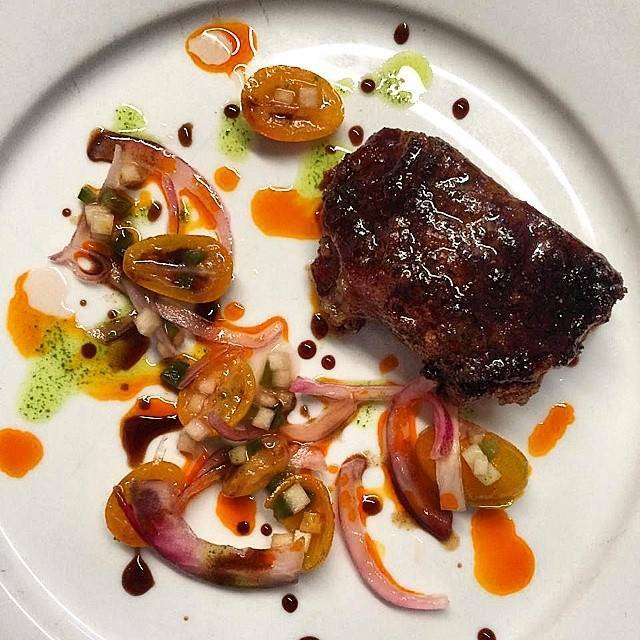 ETC is consistently creative, fresh, and delicious.